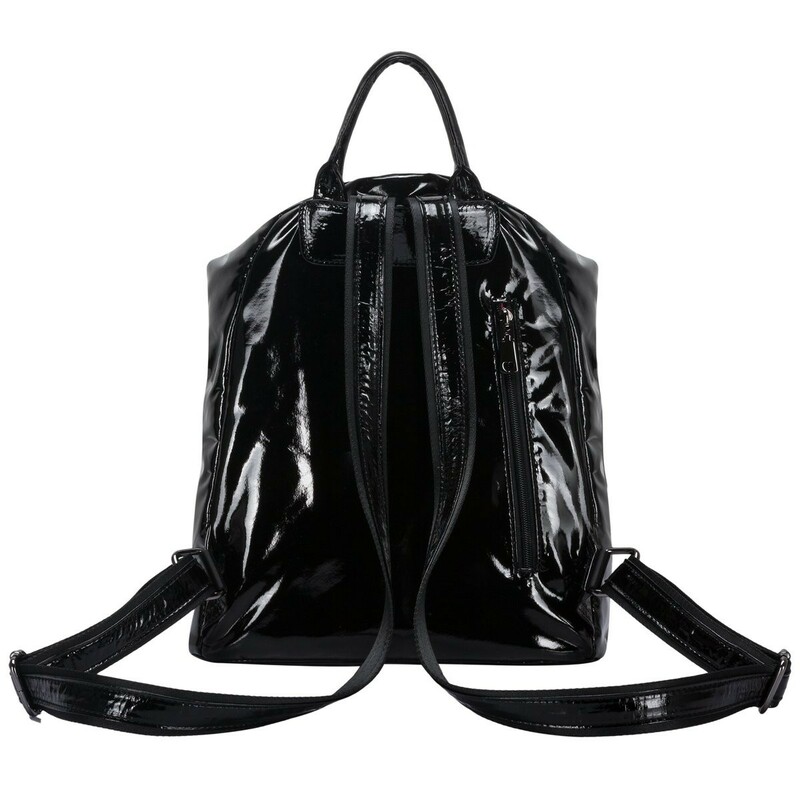 For a fashion forward finish, this black shiny backpack is the perfect style. 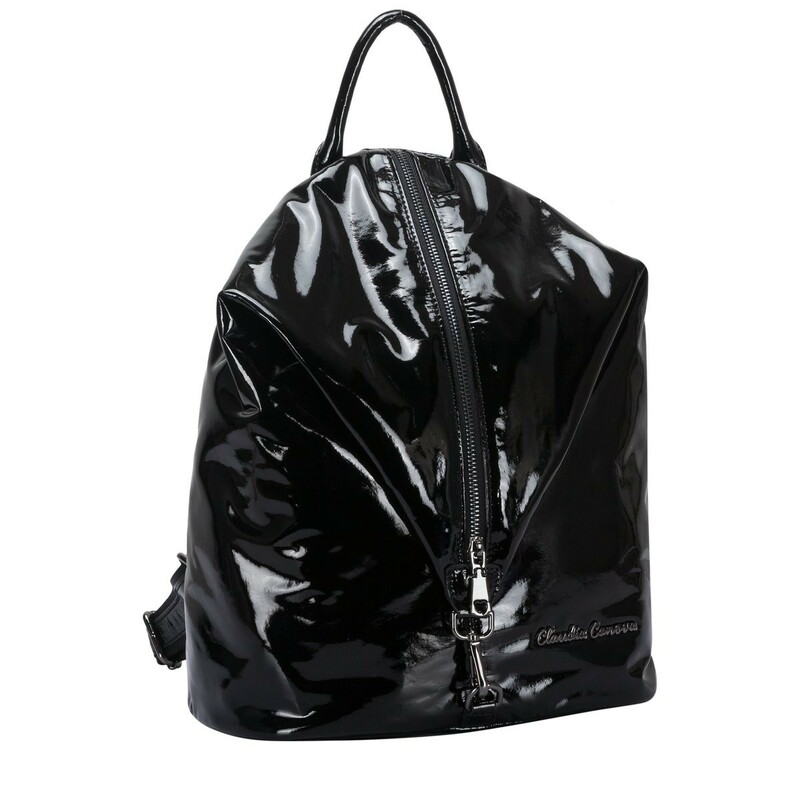 The gunmetal fittings complement the smooth and shiny material and the practical zip feature is fastened with a gunmetal clasp for added security. 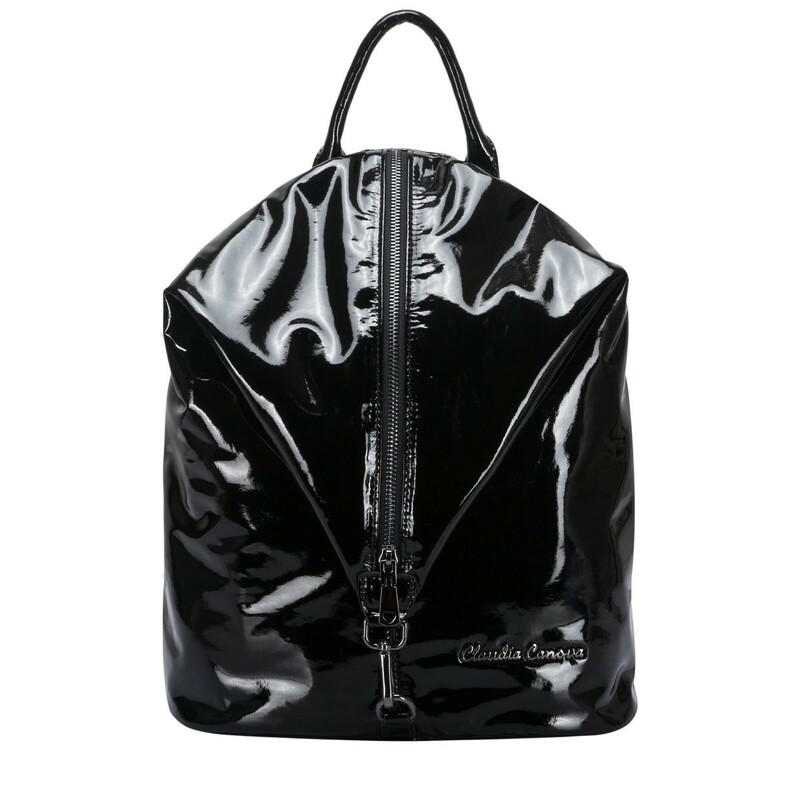 Inside reveals a branded lining complete with slip and zip pockets, perfect for storing smaller valuables.